Marco V has long established himself as one of the most inventive, diverse and creative electronic music minds working today. 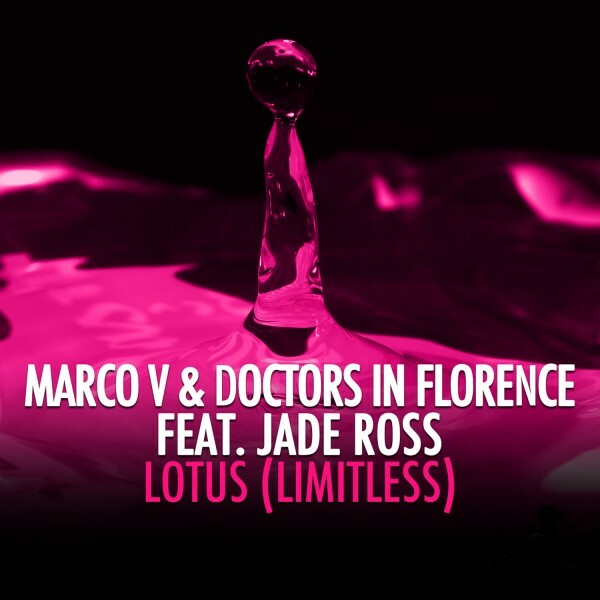 Now for the first time on Radikal Records, Marco V teams up with Doctors In Florence and Jade Ross to revitalize “Lotus” one of Marco’s fiercest releases in 2012. With the technical sorcery of the Italian progressive house heroes Doctors In Florence also behind the production of “Lotus (Limitless),” this collaborative combination is destined to result in an explosive hit record. The Doctors have shaped a fearsome collective of house music professionals that together have proven their expertise with a string of devastating releases. Now combined with the experience and vast talents of Marco V, it’s a recipe for success that will have any EDM enthusiast licking their lips. Packed full of typically stadium-scale melodies and thunderous bass lines, “Lotus (Limitless)” has all of the characteristics we’ve come to expect from one of the world’s leading producers. In typical Marco V style, the release is an action crammed EDM masterwork that has now been super-sized with the addition of Jade Ross’s beautiful vocal work. The production is pristine and Jade adds a striking layer of euphoria to the already rapturous instrumental. There’s no shortage of big-room vocal tracks in 2013, but you would be hard pressed to find many that pack the combination of stunning vocal lines and rip-roaring bass hits with such dexterity. With a Darwin & Backwall remix reinforcing the package, you can be sure that this EP is an essential acquisition for the EDM enthusiast.